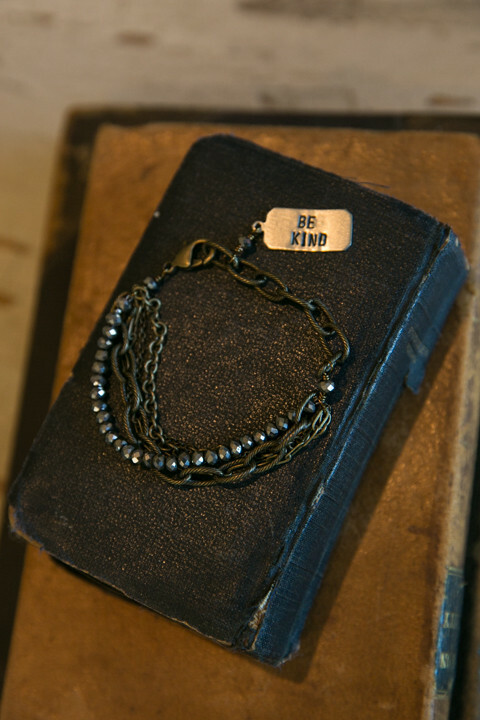 This "Be Kind" Tag Bracelet by NLS Jewelry is the perfect addition to any of your favorite outfits. 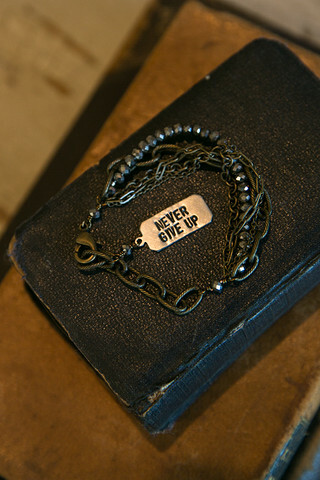 The Be Kind silver charm hangs from a series of four brass chains that vary in size. 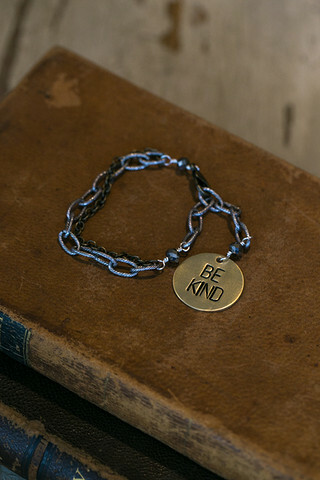 An additional strand of metallic dark grey crystals adds a pop of glam to the bracelet and pulls it all together for all of our girly girls out there. 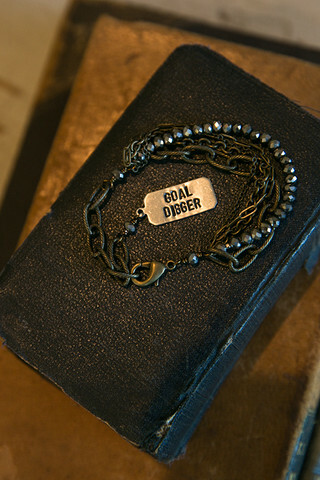 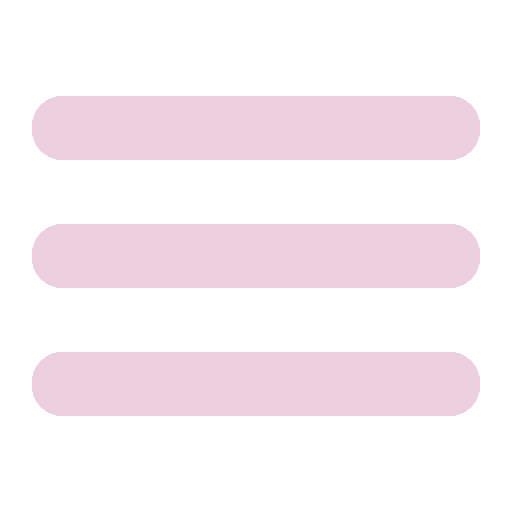 The clasp is adjustable.